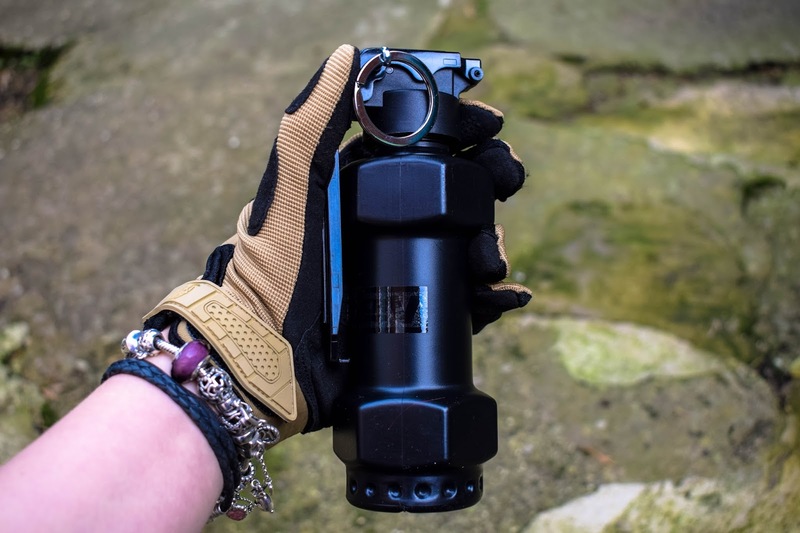 Today I’m back with another review for Valken and I’m taking a look at a newer version of something I have I reviewed previously for Airsoft Action - the Valken Thunder V SoundDistraction Devices. The last time the Thunder B and I crossed paths I thought they had some improvements to make on the Shocker shell. 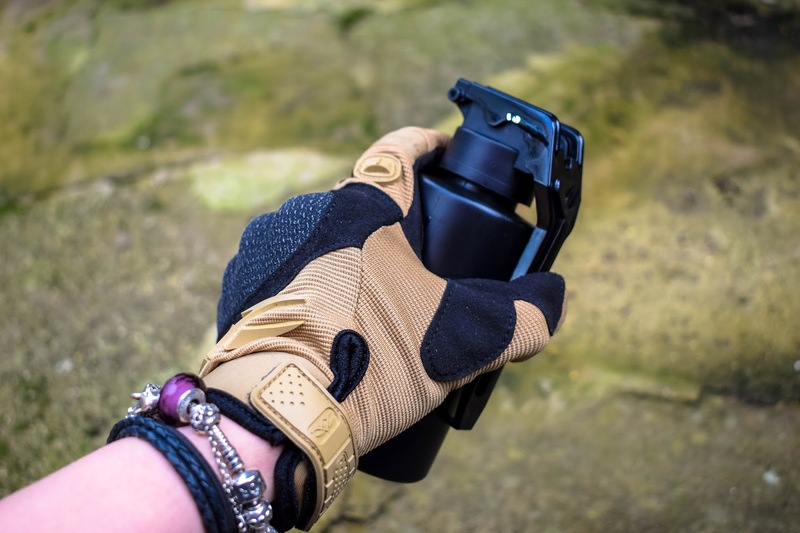 Valken have taken this feedback on board and have a new, improved shell for me to try! You can read my previous review here. 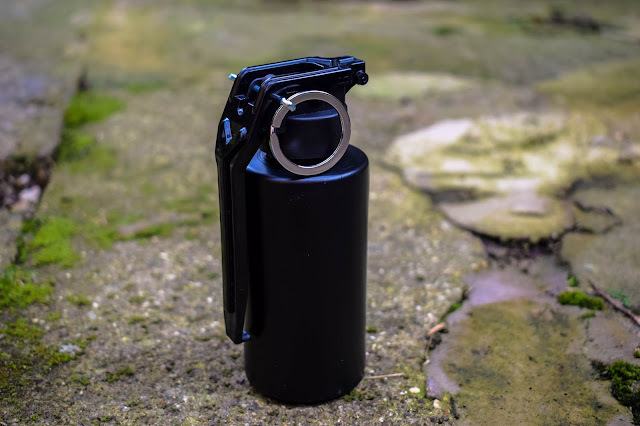 Valken designed the Thunder Vs to imitate real world sound distraction devices that are used by military and law enforcement personnel around the globe, but what actually are they? They’re reusable sound devices that utilise a 12g CO2 cartridge to create a REALLY loud bang in order to distract your opposition. All variants of the Thunder V devices utilise a 12g CO2 cartridge and single use burst shells to create a bang measured at approximately 130 decibels. Simply prime the pin, insert a CO2 cartridge into the core, then pull the pin and lift the spoon. This breaks the seal and the empty shell starts to fill with compressed CO2 and goes boom when capacity is reached. These Thunder V’s come in a variety of shapes including; pineapple, dumbbell, Cylinder B and a Cylinder C shell for different applications. For my review Valken sent me the 12 pack (with core) of Cylinder B and the 3 pack (with core) dumbbell shells, which are a little smaller in size to test. In my last review my main was that the detonation times were not consistent enough for my liking. First I had to prime the hammer and insert the safety pin - admittedly I did have a little issue with this because of my dainty hands/long nails but eventually managed it, popping in the CO2 cartidge was easy and then it was just a matter of pulling the pin and throwing. 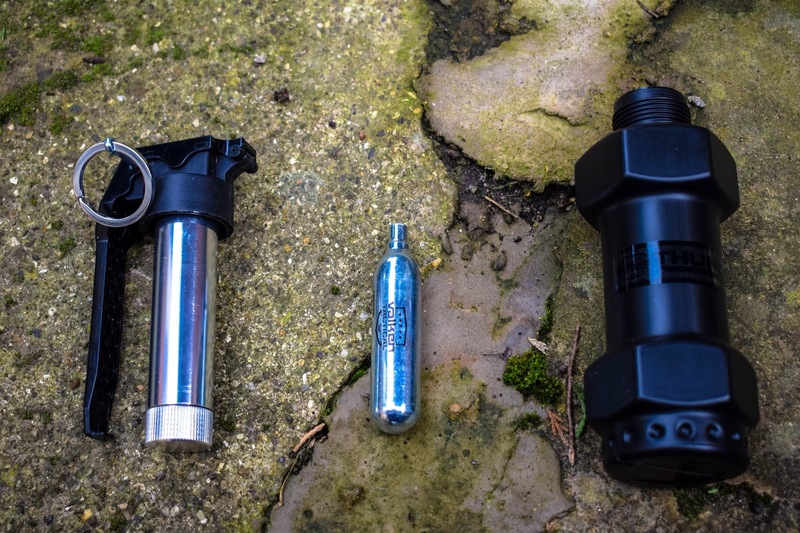 I tested 5 of the cylinder B shells and 2 of the dumbbell shells for a good range of results. Once the pin was pulled, all of the cylinder B shells were consistently discharging their munitions in a 7-8 second window (much more consistent than before!) The dumbbell shell did discharge a little quicker - between 5-6 seconds respectively. What I will say is that the bang is LOUD and did take me by surprise the first couple of times. 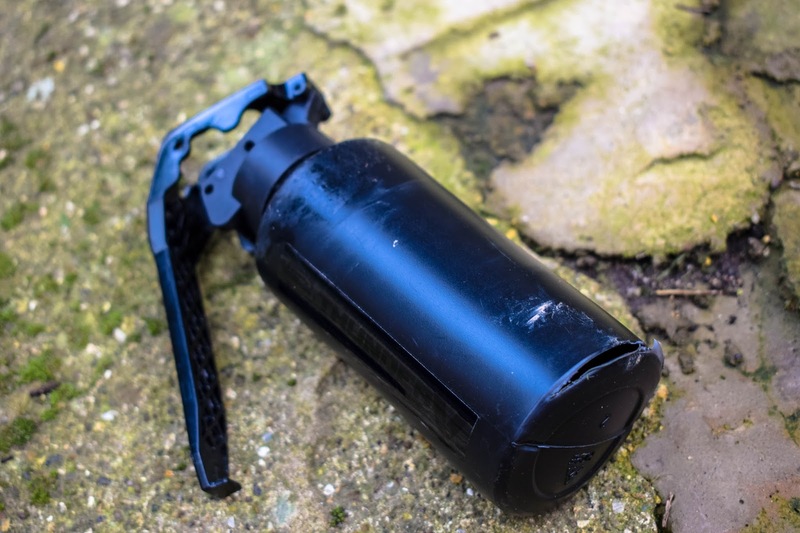 The cylinder B shells also split along the bottom of the shell rather than the side - which I think is much safer for both the user and the poor sod the grenade is being thrown towards. Overall, I'm happy with the improvements that Valken have made to the shells - I am definitely going to be trying these in game now I feel more comfortable and safe using them. What are we looking at in regards to price? So, a 12 pack of shells retails on the Valken website for $20.95, £15.92 to us Brits at the current exchange rate, with the core included it costs $44.95/£34.14. For the 3 pack with a core it retails for $29.95/£22.75. It’s important to note that to use these you also need 12g CO2 cartridges so that is another expense.